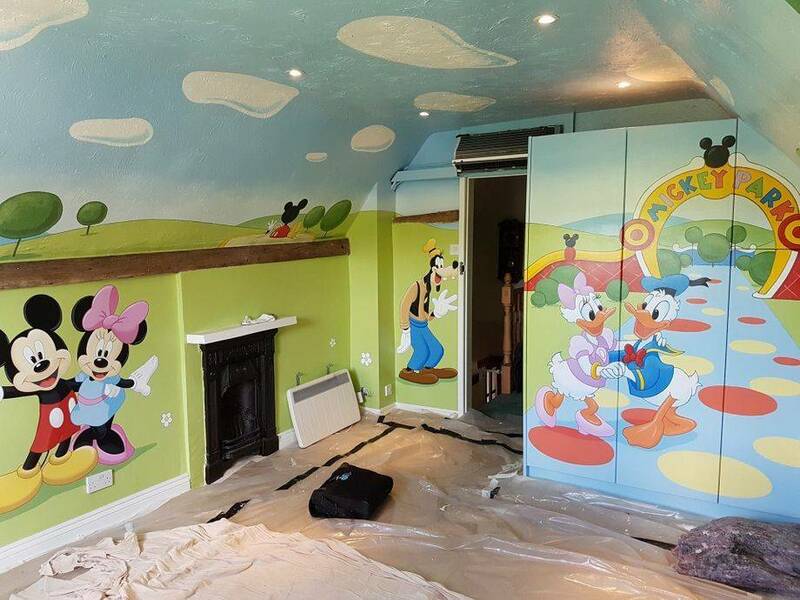 This Mickey and Friends themed nursey was painted in 5 days and went around the whole room and included the ceiling. 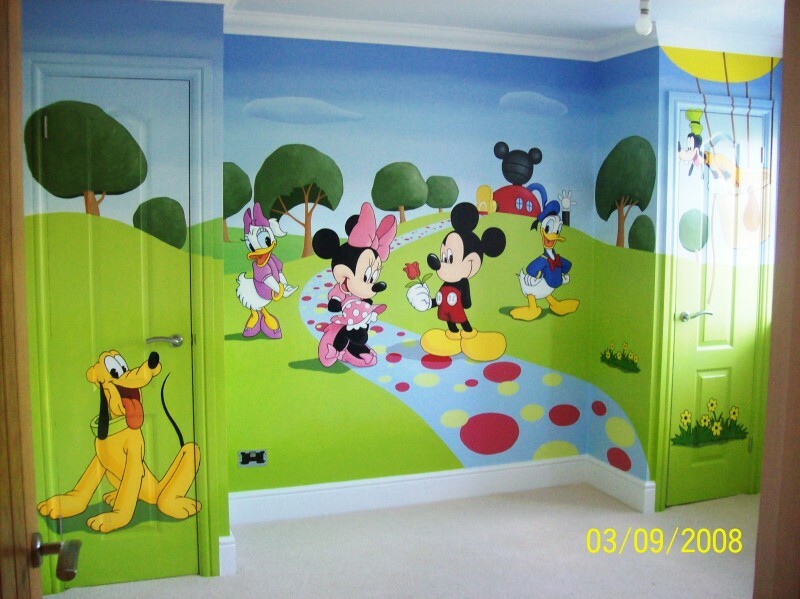 This popular theme is painted on a chimney breast of a young boy's bedroom and took two days to complete. This mural, below, is painted to cover almost one whole wall in the same room as above and took three days to complete. The next three pictures are all from a girl's play room that had been painted pink and lilac. 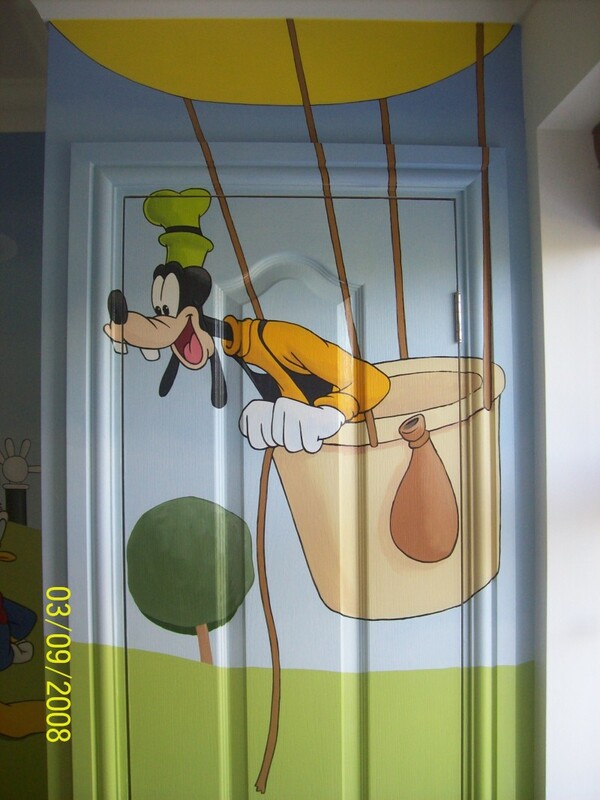 The characters were painted straight onto the pre-painted walls and took three days to complete. This next one is painted in a young boy's bedroom in Canterbury. It covers the central wall and both fitted wardrobes. It took 6 days to complete. This colourful mural was painted in a new-born baby's bedroom. I was pleased with the use of the Orange sky which gives it a pleasant sunset warmth and echoes the colour scheme of the rest of the room. 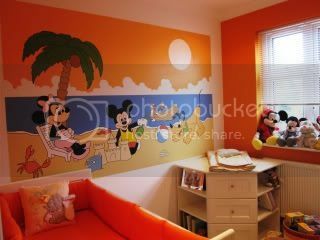 This is my own design of Mickey Mouse and his friends on the beach. 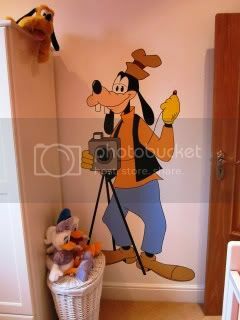 Goofy is on the opposite wall with his camera. If you would like something similar to any of these murals please contact us.